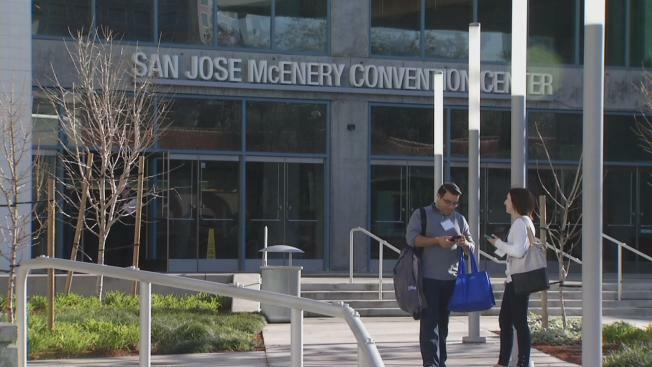 Apple announced Thursday it is moving its giant developer conference back to San Jose. The annual WWDC, as it's called, will leave San Francisco for San Jose McEnery Convention in the Capital of Silicon Valley. Apple says it's moving the weeklong tech fest to be closer to its Cupertino home. This year's conference takes place June 5-9. Every year, Apple's Worldwide Developers Conference brings thousands of techies together to create and exhibit the latest innovations in Apple products. With thousands of techies converging on the South Bay, it is sure to be a boon for the local economy. "This is going to be a great event for downtown San Jose," Mayor Sam Liccardo said. "It certainly brings thousands of people from all over the world. It'll fill a lot of hotels and our restaurants." Mucho's restaurant and bar, for instance, is ecstatic about the move, saying events at the convention center always mean a big boost in business. "Comic-con was here; that was super busy," said Alfredo Garibay of Mucho's. "A Furry convention also brought tons of people. Yeah, conventions are a godsend. Geeks are good for business, definitely. We love 'em here." As to how long the WWDC will stay in San Jose, Liccardo would only say he's working with Apple to try to secure the conference for as long as possible. The WWDC was last held in San Jose in 2002. Since then, it has been in San Francisco.